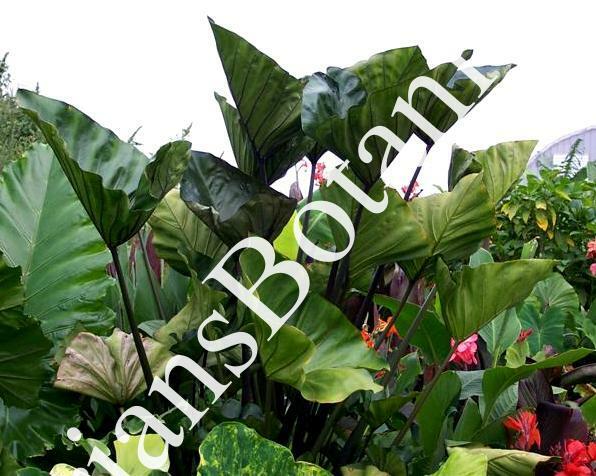 Colocasia Coffee Cups has shinny cupped up leaves. The stems are dark maroon and look almost black. It is an interesting center plant and can grow to around 7 feet tall. I have found it to be one of the most ornamental colocasias on the market in sometime.